This is the summary of consumer reviews for Amana Front Control Dishwasher (Models: ADB1100AWW, ADB1100AWB, ADB1100AWS). The BoolPool rating for this product is Very Good, with 4.30 stars, and the price range is $224.10-$299.00. 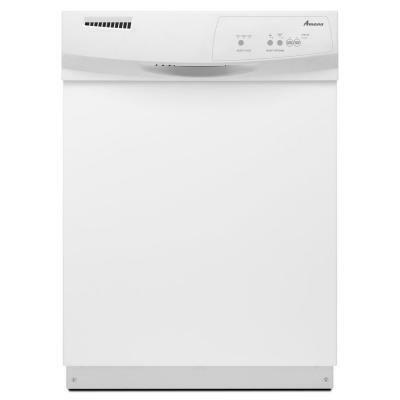 The Amana Front Control Dishwasher features a tall tub and a multi-level tower wash system along with easy push button controls for simple and easy usage. 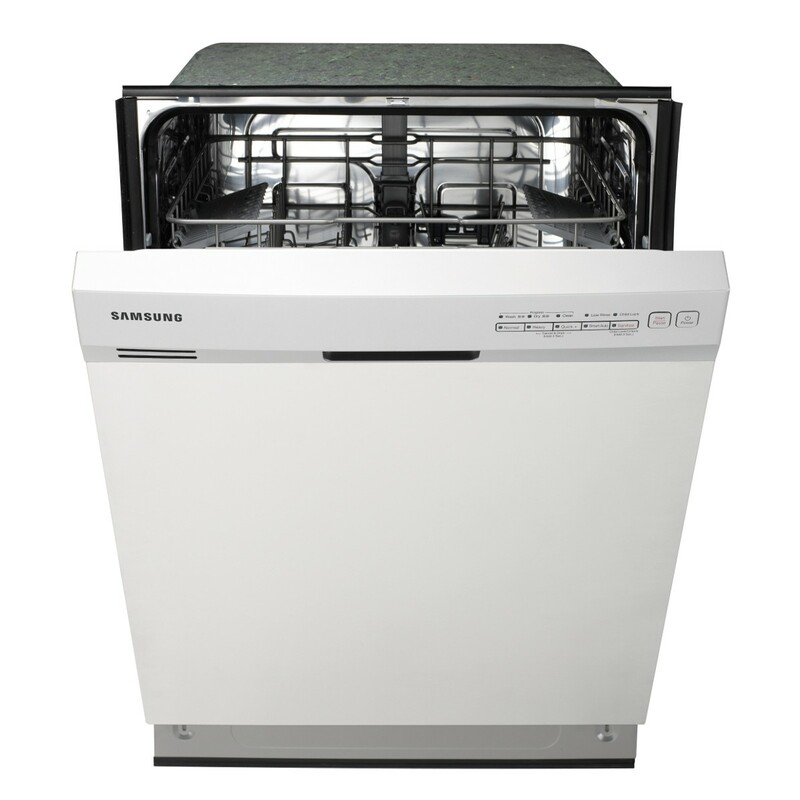 At just 63 dBA, you can run the dishwasher without annoying yourself or other in house. 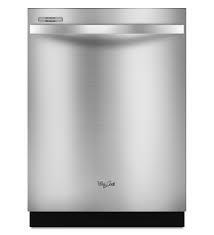 This easy to install dishwasher also features a heated dry option, a high temperature wash, and a 1-hour wash cycle. Without many bells and whistles. 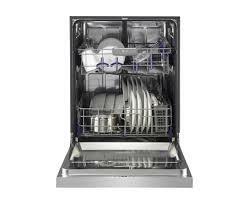 this Amana dishwasher washes the dishes very well and dries them decently. In this Amana dishwasher, the tall tub interior has a 12 place setting capacity to accommodate more dishes and provide more room so you can add pots, pans and large dishes. A spacious upper rack provides room for glasses, bowls and cups and the large lower rack is ideal for pots and pans. An in-rack silverware basket holds silverware and utensils securely in the bottom rack for easy cleaning. However, some users miss few features like delayed start on this dishwasher. This is a basic and simple dishwasher and does not have many bells and whistles like some other models. 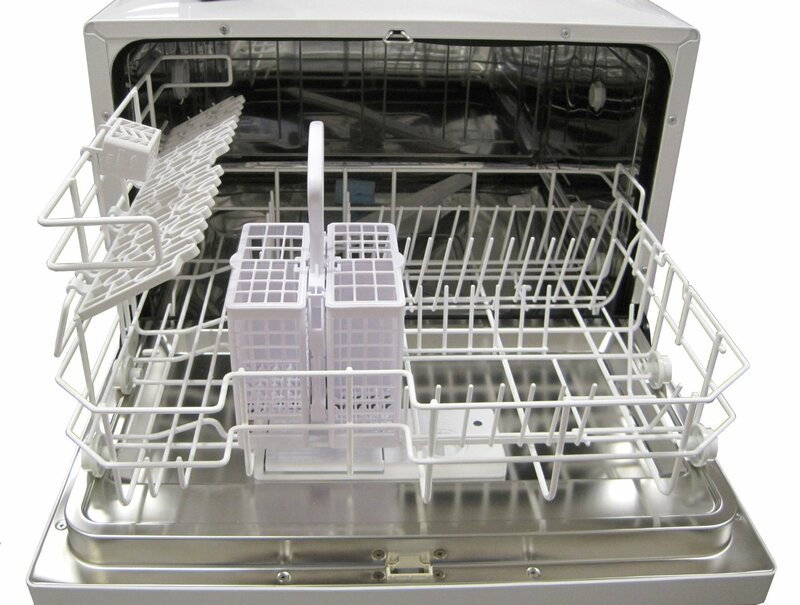 Also, some users complain that this dishwasher does not dry dishes well. 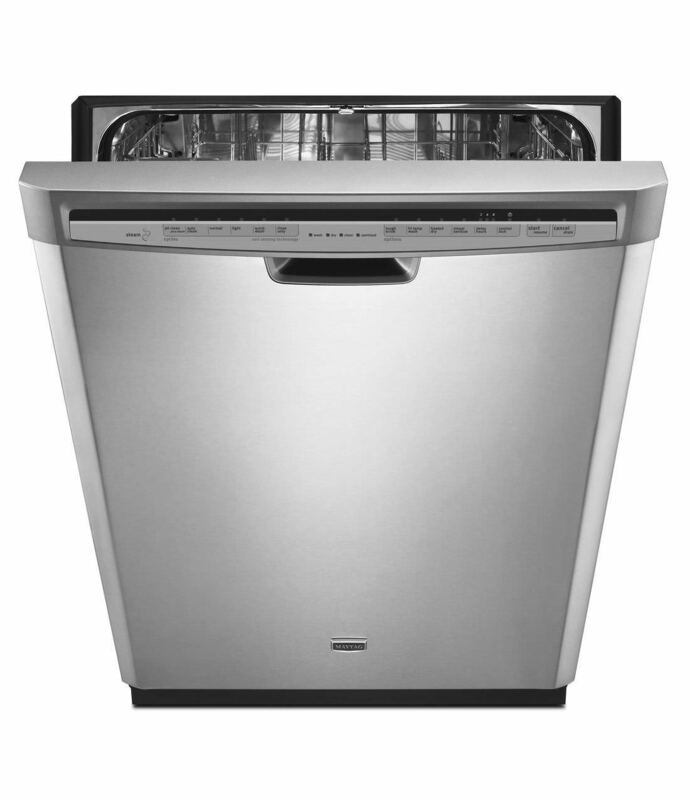 Overall, the Amana Front Control Dishwasher is a good investment that works well and looks good. 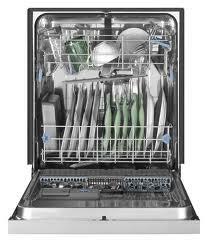 This dishwasher makes a good unit for rental properties. It is good bargain and value for its price, quality and features. Simple, quiet and cleaned a full load well. Looks nice runs quietly and cleans well. Performs well and is quiet. Cleans well and quickly and looks nice. This dishwasher fits our needs and cleans well. Doesn't dry real well but seems to clean okay. I find it's quiet, cleans well, easy to arrange dishes(family of 6), & great for the price. Seems to clean well enough, but in general I wouldn't recommend it. Really quiet and cleans very effectively. Good product, easy to install with all necessary accessories. The product had a simple, easy to use panel, it's quiet and very efficient. This product is very well priced, and makes an excellent investment for any home owner looking to cut energy expenses. Amana puts out a great product. This product has basic features. This product does all that it was engineered to do, and cleans the dishes thoroughly. Runs very quiet and does an excellent job cleaning. Good looking and very easy to use. washes ok but Dishes aren't dry even with dry cycle. I like the choices of wash cycles and dry temps. If I wanted to dry dishes, I'd wash them by hand. The only time we used high temp wash and heated dry was when someone in the family was sick. Doesn't have all the bells and whistles of other models, but washes and drys well. It doesn't have a lot of features but it's got everything you need and we really like the 1 hour wash cycle. There's a heavy duty wash cycle, a normal one, and an abbreviated cycle that runs for an hour. We'd a high end dishwasher for years and 99% of the time we used the normal wash and air dry functions. We use the 1-Hour cycle and turn off the other options when we wash dishes. Plus the height between the bottom and top racks allows for all sized items to be washed. This dishwasher works well and was easy to install. Works well - no issues. Rural location, delivery on time, installation was easy, unit is working as expected, relatively quiet for a base model, it just works! Tenant advises the product works great. Product works as reviews indicate. But, it seems to work very well. 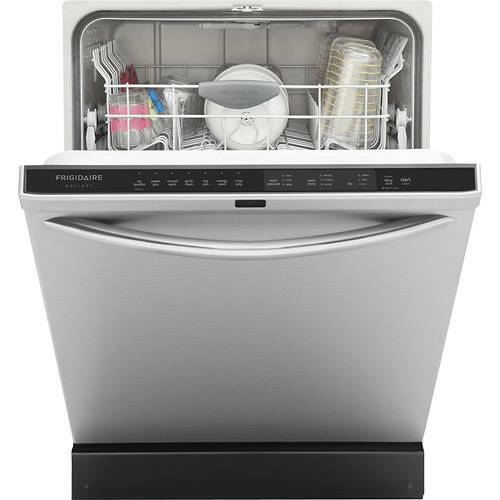 This dishwasher was everything I wanted - simple, works well & looks great. Works great, much quieter than we expected,good value. This gets our dishes sparkling clean. The machine does a good job cleaning the dishes. It's quiet and leaves the dishes squeaky clean. This dish washer is very quiet. second; It does a lousy job cleaning dishes and I do put them in there rinsed, after normal cycle they're covered in greasy soap scum, water spots, food grease still stuck on, heated dry will leave your dishes wet!!! I love this dish washer , for the price it can't be beat . Does a great job of cleaning the dishes and also the pots and pans. Overall, the machine was a good value and cleans the dishes well. Easy to use and install, looks great and gets the dishes really clean.(hide). While it cleans well, it doesn't even begin to dry the dishes. This AMANA dishwasher cleans in half the time of the other one and gets the dishes sparkling clean. The only feature I wish that it'd was the delay start feature. It doesn't have a delay feature but we haven't missed having one, we just start it before we go to bed. doesn't have alot of features. This was a complete oversight on my part but I was bummed that there was no delay start on this model. The only con is that the second time I tried to run the dishwasher, I pushed the start button and it wouldn't start. The delivery and pick up of old unit was nice feature. Remodled my kitchen and bought this diswasher. Does a great job of cleaning, not loud. It's not super quiet, but not loud enough to be annoying.